No need to look to New York for a memorable way to ring in the new year. Instead of focusing on Times Square as the final seconds of 2013 are counted down, you could turn to Prairie du Chien and celebrate Midwestern style with the dropping of the carp? That's right! This Mississippi River community has put its own spin on the famous dropping of the crystal ball. In Prairie du Chien, townsfolk and a generous supply of out-of-town guests gather at the city's St. Feriole Island each New Year's Eve to cheer as a frozen carp named Lucky is lowered from a tall crane onto its throne, where revelers then line up to kiss the fish for good luck. Countdown begins at 11:40 p.m., but festivities begin a few hours earlier with a bonfire, live music, a holiday laser light show, recitation of the official governor's Droppin' of the Carp proclamation, and even the crowning of a carp king and queen. After the drop, the fun continues with fireworks and more music. 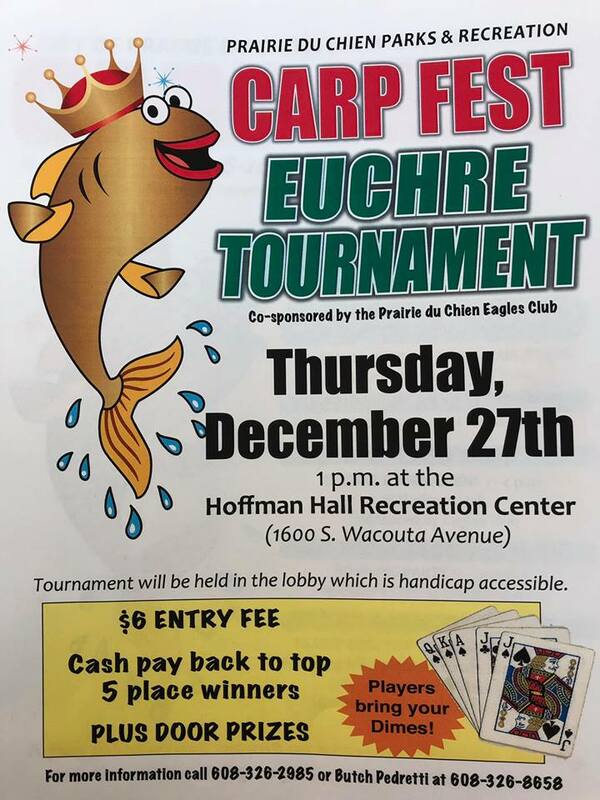 For the full carp experience, come to Prairie du Chien a few days earlier and take in Carpfest, a weeklong celebration launched in 2009 to expand upon the increasingly popular New Year's Eve event. This festival includes traditional wintertime activities that take advantage of Prairie du Chien's scenic location in the state's Driftless Region, such as torchlight skiing, hiking, and sledding as well as the annual Carp Bowl, a good-natured touch-football game pitting neighboring fire departments against each other. New this year are a disc golf tournament at Prairie du Chien's new 18-hole golf course on St. Feriole Island and a youth ice-fishing derby. There's also a slate of activities that are not subject to weather conditions, such as indoor swimming and gym activities, a bowling party, a dance for the teens, and a carp coloring contest for the kids. Make no mistake though, the festival's main event is the Droppin' of the Carp; this event alone draws a couple thousand people each year. 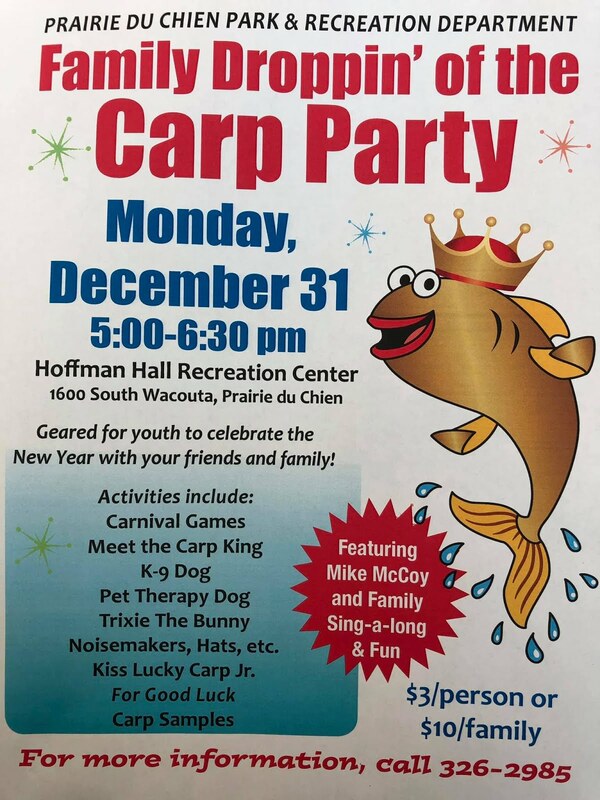 Credit for this unique idea goes to Carp Master Tom Nelson and his wife, Cathie, who were inspired by a pair of New Year's celebrations they witnessed down south. Nelson explained that about 14 years ago he and Cathie took a winter vacation first to Georgia where they learned about Atlanta's signature Dropping of the Peach celebration, and later to Biloxi, Mississippi, whose millennium New Year's celebration had a homier, small-town feel. Cathie, Nelson said, was convinced that Prairie du Chien could host a similar event of its own. The next year, the couple spent the holiday at home with some friends. Talk turned to their desire for a greater community celebration similar to what the Nelsons had experienced in Georgia and Mississippi, only with some local flavor. And what better to provide that flavor than a fish, caught from the Mississippi River that defines the city? The friends settled on carp because it was a fish they could have fun with, plus, Nelson pointed out, it was available, both in the river and as a festival. "Bluegill was already taken, catfish was already taken, so we thought, "Well, why not a carp?" ,he said. The first Droppin of the Carp took place in 2001/2002. 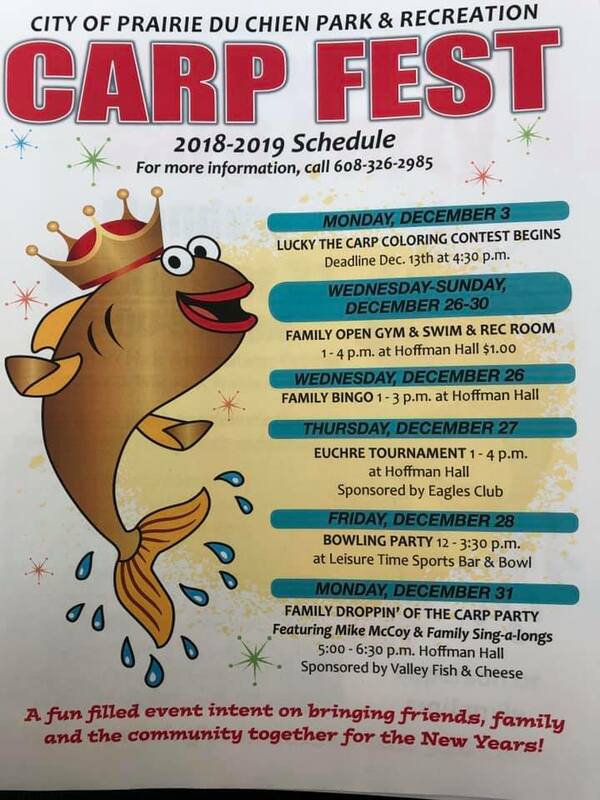 Event organizers held a naming of the carp contest that first year and chose Lucky in a nod to Chinese tradition that calls for eating carp on New Year's Eve to bring good luck. The inaugural Droppin' of the Carp had plenty of fun, including carp-related sing-alongs performed by a band called Larry and the Carpettes, but it had a touch of solemnity as well. Since the first event was held shortly after the 9/11 terrorist attacks, it included what Nelson described as an emotional reciting of the Pledge of Allegiance as 2002 began. The tradition of reciting the Pledge as one of the first acts of the new year continues. So does the tradition of catching Lucky. Each November, a local commercial fisherman oversees the catching of the carp, an honor local youth vie for in a drawing. The fishing party heads out to catch the biggest carp it can-typically 25-30 pounds-and the fish is kept frozen until the big event, when it is presented fully painted, shellacked, and decked out in a crown. In its sparkly, dressed-up state, Lucky clearly can't be eaten as Chinese custom calls for, but no matter, folks here found their own way to secure some good luck. "Kissing the carp didn't start right away," Nelson said. "It just kind of evolved three or four years into it. Right after the carp was dropped one year, someone asked if they could kiss it for good luck. Now, keep in mind this is a dead, frozen fish, but people lined up to kiss it and get their picture taken with it. The tradition became so popular, Nelson said, that event organizers began setting the carp out before the drop as well to accommodate everyone who wants to kiss the fish. "It's all silly, but that's what it's all about," Nelson said. 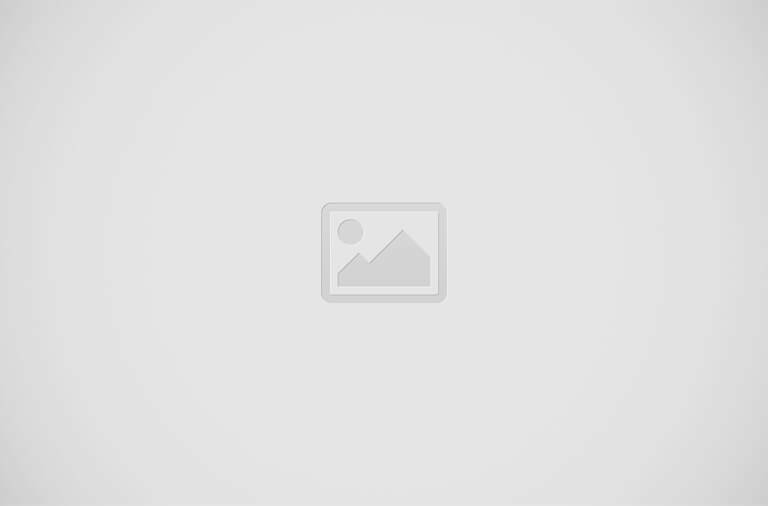 "This is a fun, family-oriented New Year's celebration. It's just a fun way to start out the new year." The fun continues well into the new year. After the holiday, Lucky goes back to the freezer until the first weekend in May, when the fish is buried to some fanfare in newly established Lucky Park, "The gateway to St. Feriole Island." A maple tree is planted over Lucky's final resting place, and the maturing trees - 12 of them so far- are decorated each holiday season, setting off the lit-up fish sign that welcomes visitors to yet another Lucky celebration."